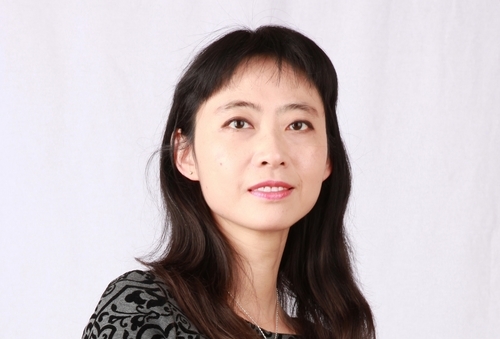 Yang Huang’s debut novel immerses readers in a time and place with which they may be somewhat familiar: China in 1989, just before and after the massacre of young protesters at Tiananmen Square in Beijing. While it must have been tempting for Yang Huang to write an explicitly political novel about those people and events, she has instead chosen to focus on the love affair of an 18-year-old college student, Gu Bao, and a 22-year-old soldier, Tong, and the ramifications it has for their future. The political unrest serves as a foreboding backdrop for the domestic drama occurring first at Nanjing University and later in the Pingwu region of Sichuan province in mountainous central China. While Bao’s best friend Lily becomes involved with a young activist and photographer who later participates in the infamous protests, Bao chooses to concentrate on her legal studies and spend time with her first boyfriend, a sardonic young officer from the Nanjing Army Commander College. Before long, though, Bao and Tong are faced with what will be viewed as their own small rebellion: Bao is pregnant. While this may not strike contemporary readers as a major dilemma, in 1989 China it is a crisis. They are not married, her parents don’t know about Tong and will be furious that she became pregnant before marriage, and they will certainly oppose the idea of Bao marrying a soldier instead of becoming a lawyer. Add to this scenario China’s one-child policy, and the stakes are raised significantly. If Bao has the baby, she cannot return to the university (she will have violated one of its fundamental rules), so her dream of becoming a lawyer will be shattered. Does she really want the baby under these circumstances? Is she ready to marry Tong? Does he love her enough to marry her? Does he want the baby? What about his career as a soldier? Whatever may happen with their relationship, this will be the only baby Bao will ever be able to have. Her decision will permanently alter her life. Bao ends up taking a break from college to stay with her grandparents in central China, near the country’s main panda sanctuary. While adapting to a place she loved as a child, Bao stumbles upon a young woman hiding in the mountains. Orchid is pregnant — and she already has a child. She and her husband Candor live in the same village as Bao’s grandparents with their daughter, Daisy. The local enforcement team for the one-child policy, led by the man with the ominous nickname of Childless Du, will force Orchid to have an abortion if they discover she is pregnant. So she is hiding until the baby arrives because the state won’t take away the baby once it is born. She is willing to suffer other, lesser consequences so long as she can deliver her second child. Before long, Bao, understandably sympathetic to the young mother-to-be, becomes deeply involved in Orchid and Candor’s deception. The story develops in ways one wouldn’t necessarily expect and turns into something of a thriller in the final chapters. Bao, initially timid despite her academic and career ambitions, develops into a determined and spirited young woman who is willing to take on people and institutions she would have feared to challenge only months earlier. Yang is equally adept at exploring the political situation, both at the political and personal levels, and capturing the texture of hardscrabble Chinese country life. She avoids heavy-handed polemics by depicting the effects of Chinese government policies on a handful of its citizens. As always, we experience the universal themes of oppression, resistance, and triumph through the particular instances of well-drawn characters, here Bao and Orchid. These are flesh and blood people, not mouthpieces for the author’s political harangues. 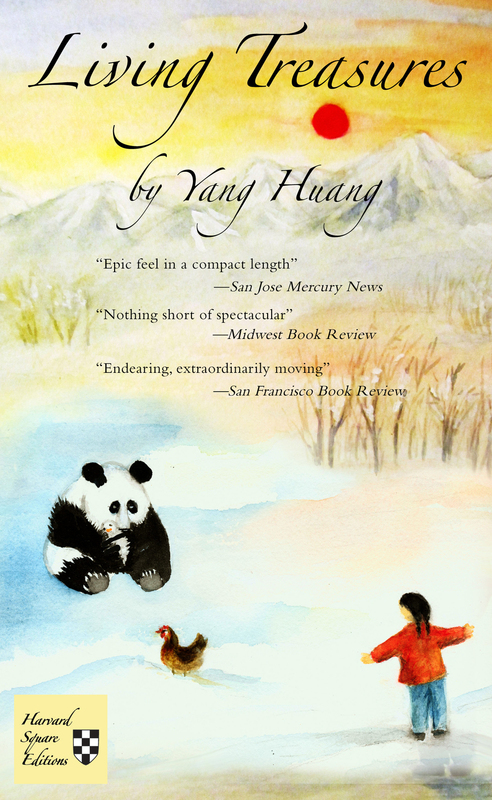 Yang rightly keeps the plot focused on the human side of the nation-changing events taking place in the background of life-changing situations faced by the characters. Living Treasures also benefits from the evocative and symbolic presence of a mother panda, which appears first when Bao is five and living with her grandparents and then again in the main plot in 1989. While the novel’s mood is serious throughout, Yang maintains a charming voice that feels distinctively Chinese. At times this seems a bit too sweet and pleasant for the plot, but I could also see its readability being used to good advantage if her publisher tries to market Living Treasures as a Young Adult novel with serious issues on its mind. With the national, political, and cultural setting involved here, this would be a thought-provoking read for high school students, particularly if they are guided by a knowledgeable teacher. As a final note, don’t let the childlike cover art deter you from reading this fine first novel. Living Treasures was a finalist for the PEN/Bellwether Prize, begun by Barbara Kingsolver in 2000 and awarded biennially “to the author of a previously unpublished novel of high literary caliber that addresses issues of social justice and the impact of culture and politics on human relationships.” Living Treasures more than fulfills those criteria.